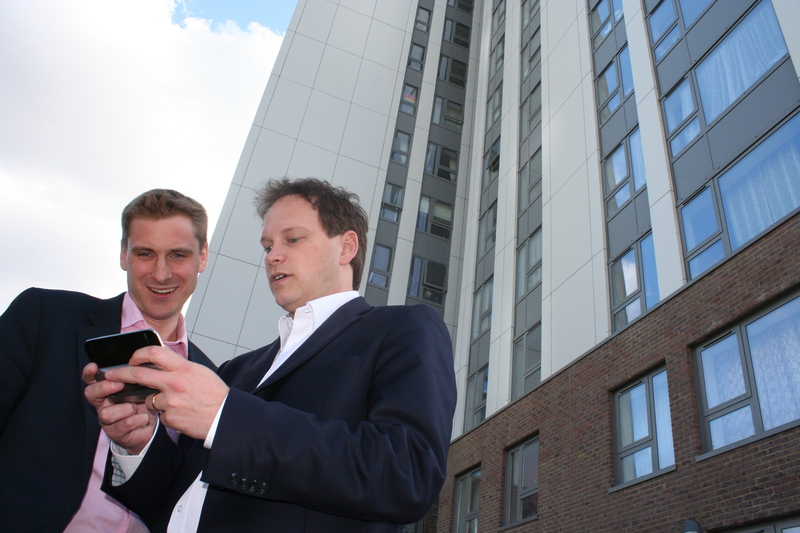 THE Conservative shadow housing minister Grant Shapps ranks number 21 on the most influential people on Twitter, according to some survey or other. After meeting him yesterday, I wasn’t surprised to see his name so high up. 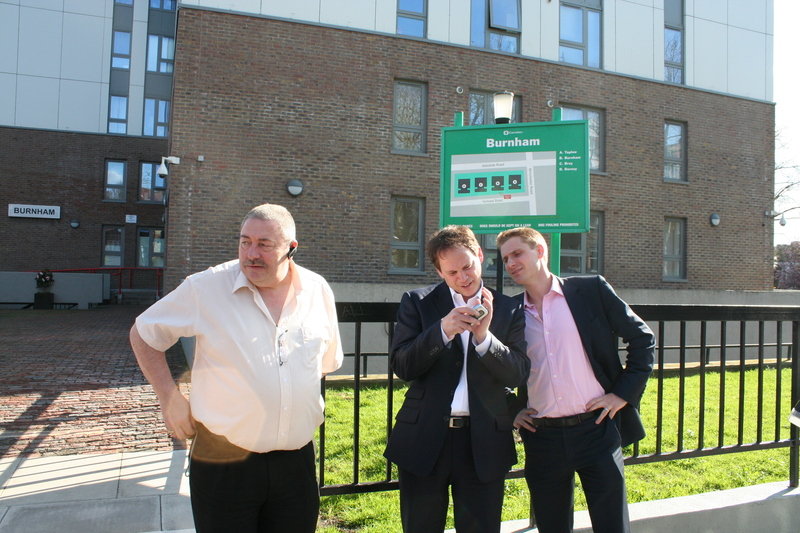 When he visited the Chalcot Estate – to talk council housing and give Hampstead and Kilburn candidate Chris Philp a boost – he was flipping out his smartphone like a kid with a toy. Look at the pictures above: Tweet, tweet, tweety-tweet. 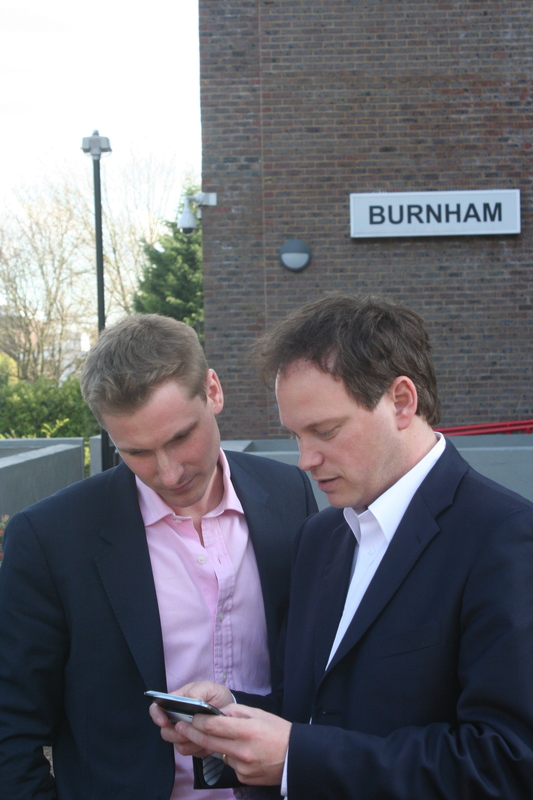 Within seconds of shaking hands with Chris, Shapps had a photo of the pair of them grinning outside the Burnham block up online. He had been to four constituencies in one day; his phone must have a supersized battery. Still, tame campaign pictures like that won’t get you sacked. Who knows what Shapps privately thinks about some of the people he shares a train carriage with or his personal view of Diane Abbott. The now ex-Labour candidate Stuart MacLennan up in Moray, was dropped today for sharing his views on these heady issues, tweeting that his fellow rail passengers were ‘chavs’ and that he thought Abbott was a ‘f**king idiot’. On Shapps’s so highly influential feed of his you won’t find anything as fruity. 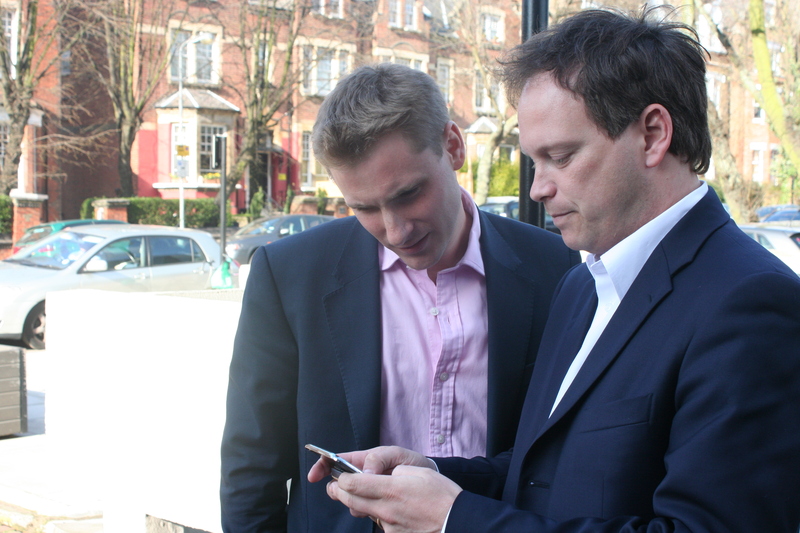 And so it is that while one of these Twitter addicts looks like he’ll have a pretty important job in government post-May, the other can join the rest of us twittering abuse about the guests on Question Time each week, his campaign collapsed for saying what he thought. Bland Rovers 1 Blunt and Blue Albion 0? There’s a debate here. If a candidate is an effer and blinder, why shouldn’t we get it all in the raw? Maybe voters want a sweary candidate who pulls no punches with rivals – or colleagues. If he or she is offensive about fair trade bananas and people on trains, then why shouldn’t we get to see that as well. Surely that’s the trade-off that Twitter trades on, particularly at election time. What’s this? 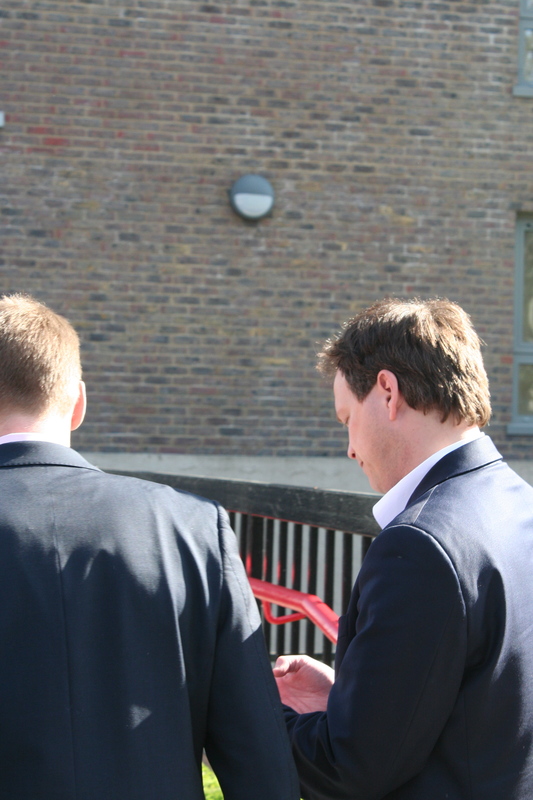 A picture of two estate agents in front of Burnham?